The desire to keep things looking natural in a kitchen can be a struggle. It seems that while artificial, man made materials like plastics and steel can be found in abundance at most kitchen showrooms, natural wood and stone is harder to come by, especially at a comparable price. But there are plenty of companies out there that want to produce the best natural products around. The push towards true environmentally friendly kitchens is a constant, so if you are willing to put the time in, you’ll find a wealth of options for your natural look kitchen. Here are just a few that Marble Creations have sought out. We’ll start from the bottom up. 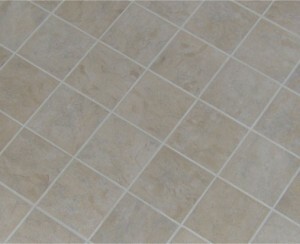 Laminate flooring is plastic, so it can be quite harmful to the environment. Even some tiles use up so much energy in their production process that they become hurtful to the environment (and most don’t look “natural” at all). Natural slate tiles, however, both look the part, and use up less energy. These slate tiles aren’t like the ones on your roof – one of the few production processes they go through is a sanding down to make them smooth. Other than that, there isn’t much difference between the slate that comes out of the quarry and the slate on your kitchen floor. They also work as a great compliment to many of the other natural materials we’ll mention below. Chief among which . . .
Our bread and butter here at Marble Creations, quartz and granite have great applications in the kitchen. In fact, if slate isn’t to your liking, quartz and granite tiles are also available, as are marble tiles for that truly sophisticated. 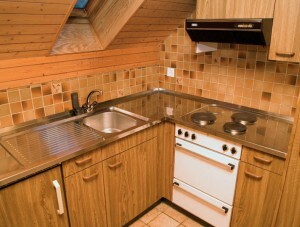 But the main go-to use of quartz and granite is worktops. These look great in any room thanks to their range of colours and patterns, but they work particularly well in the kitchen. You may have the negative opinion of natural materials that, while kind to the environment, they can be a little flimsy. Quartz and granite are the exact opposite – they are remarkable hard wearing, holding up to whatever your busy kitchen can throw at them. The most common natural material in most homes, wood is the obvious go-to option. But that is not to diminish its appeal – the reason wood has stuck around where man made materials have started to take over is because of its eternal, timeless appeal. We’re going to advocate more than just getting a few cabinets done. Firstly, try and seek out a natural wood table. You can find models that have had very little work done to them other than a little shaping, and there some that haven’t even had that done – they are seasoned tree stumps with natural glass tops mounted to them! It doesn’t get much more natural when it comes to home furnishings! But wood can also be used for decoration. Wooden statues, art displays, and accessories like clocks and spice racks look great in natural oak and the like. It can really help bring all the elements together, forming one whole natural kitchen that you can enjoy for years to come.